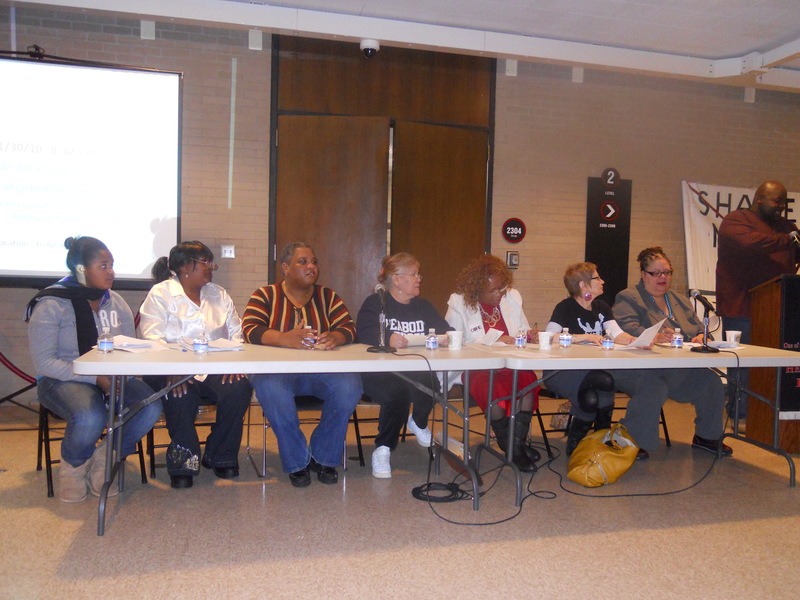 The conference allowed organizers and activists from a number of schools to discuss the issues they face. Sarah Jefferia discussed the successful fight to keep Clemente from adopting staggered start times to the school day. Calena Mujica discussed the work that Chicago Youth Initiating Change was doing, while Mary Glass from the Milwaukee Professionals Association came down to learn from the Chicago activists who had been on the front lines of the struggle against privatization. One student from Senn High School described fighting the closure of the school backed by Alderman Mary Ann Smith. It was a presentation that interested Jim Madigan, a Democratic candidate for Illinois State Senate in the 7th district. 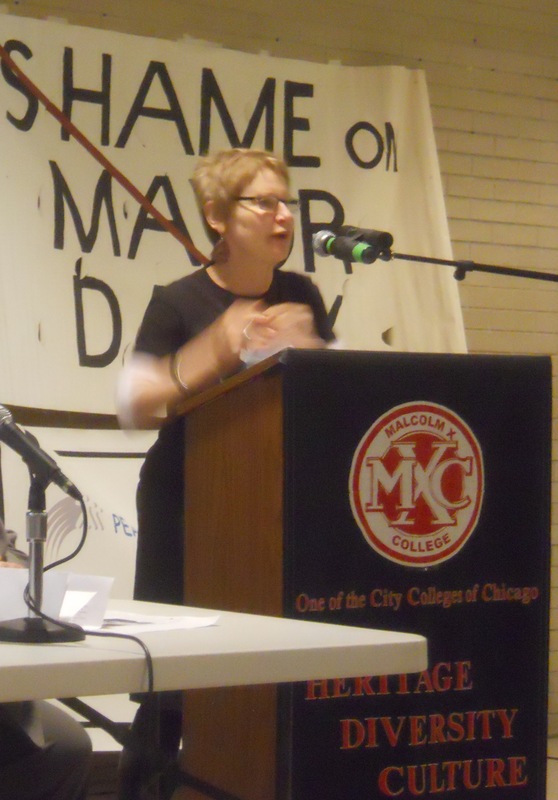 Madigan attended the conference to learn about "the concerns parents have about the desire to privatize all the other public assets in Chicago. Folks here are raising some good questions." Madigan said, "this is a very grassroots anti-machine conference, and for that reason alone I thought it was a good thing to attend." One of the highlights of the conference was the announcement of CORE's slate of candidates for the May elections in the Chicago Teachers Union. CORE is known for it's progressive positions and fighting spirit as well as being the only CTU caucus that elects its candidates. Karen Jennings Lewis, CORE's candidate for President of CTU, explained the perception of Chicago schools as failures. "We have been told for the past 30 years that the public schools in this country are abysmal. It is a lie. It was a lie then and it is a lie now." As for school closings Jennings explained that, "The closings have nothing to do with scores," but are a part of a plan to commodify the city's educational resources. CORE's candidate for vice-president in the CTU elections is Jackson Potter. Potter is a CTU delegate at Social Justice High School in Little Village, was a writer for SUBSTANCE newspaper, and is active in a number of social justice struggles including the anti-war movement. Potter pointed out that Chicago has one of the most militarized public school systems in the country, and that instead of training students to be "cannon fodder" for "unethical wars" the government should be providing high quality education and good union jobs. Potter has helped students to organize against military recruiters on their campuses. This willingness to speak out on important issues is one of the things that has made Potter a target for those in the teachers union that don't want to take such as activist role. Potter is fighting against a challenge to his eligibility to run for office in the CTU. In 2005 Potter worked at Englewood High School, which was closed as a part of Renaissance 2010. While Jackson fought to keep the school open, ultimately it was not enough. Potter then took a study leave and continued to pay his member dues to the CTU and was told that there would be no break in service from the union. However, after CORE gained steam, the leadership of CTU claimed that since he was not a regular teacher, he could not run for office in the union. Potter sees this as an attempt to undermine internal union democracy and has recruited Tom Geoghegan and Mike Persoon of Despres, Schwartz and Geoghegan in the legal battle that has followed. Potter explained that they had moved for discovery, and were going to put Marilyn Stewart, president of the union, on the stand. Potter believes that the evidence "will show clearly that they are playing games and that they have one standard and rule for their caucus and another for caucuses that they deem a threat." Potter and CORE are aware that the CTU leadership might be seeking to delay resolution on the question of his eligibility to effectively keep him off the ballot. However CORE has a "plan B," in which Potter will step down and CORE will elect another VP candidate, if necessary. The activists at the conference felt that what they did would have an impact. 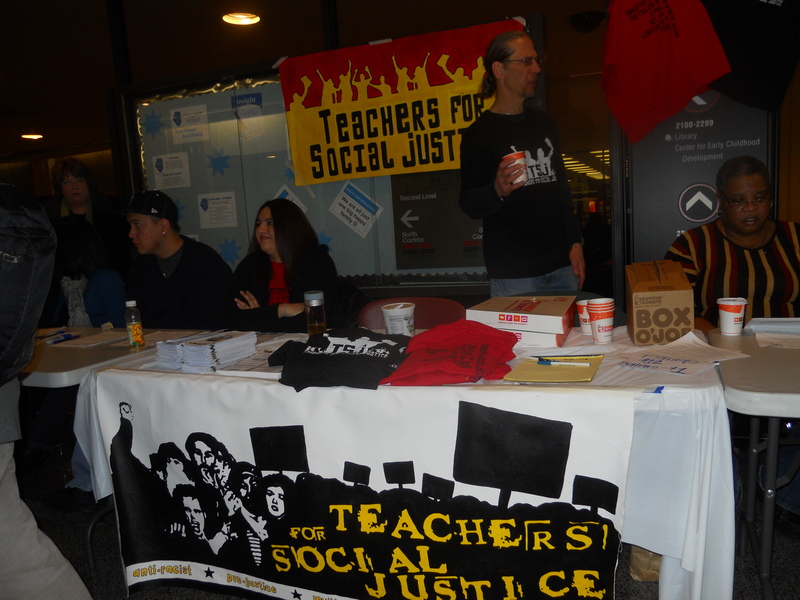 Lipman from Teachers for Social Justice explained, "What we do has national significance. The New York Times tied the death of Darien Albert at Fenger High School to spikes in violence, to school closings, and questioned the wisdom of the strategy. They used our language and analysis based on our five years of resistance." Community organizer Brown told the activists at the conference, "people in this room have had the tenacity to say no to privatization, no to schools being closed, no to teachers having their rights taken away, no to children being trained for the prison industrial complex." "The people that are closing your schools, the people that are pushing bad policy at our schools. They are working together all the time... we need to be working together after this conference." Yep, people are catching on. President Obama is a smart man and must know Arne Duncan's school reform is a fraud. So why does POTUS permit him to run around loose with a $4.35 billion purse and coerce real school districts to blow up their public schools and replace them with unproven charter schools?